n part 1 we described how and why tango music is normally presented in tandas separated by cortinas. Now we look at how to build a tanda, the foundation skill of tango DJing. The function of a tanda is both social and musical. It establishes a mood for the couple to share. For this reason, it’s essential that a tanda is coherent. The songs in the tanda should feel as if they belong together. This nearly always means choosing songs by the same orchestra, and from a similar period. The simplest way to make a coherent tanda is simply to choose songs that are as similar as possible. Instrumental and vocal numbers can feel quite different, so one might decide to choose either one or the other, and additionally not to mix singers within a tanda. We can also choose songs that have a similar speed. This approach is safe for the novice DJ. It will make a homogenous tanda, but it has a limitation: such tandas can sound a bit flat, especially when all the tandas in the evening are constructed in the same way - even if all the songs are good songs. Another possibility —particular with a tanda of four songs— «hammock» shaped tanda: a strong, familiar opening song that pulls dancers onto the floor; a middle section; and then a climax. In the middle section, the third position is the place to try out a new song one is not sure about. If it doesn’t quite work, the closing song will rescue the tanda. The second song is better chosen to continue the mood of the first. In my experience, quite a lot of the better DJs make use of this energy shape. Yet another shape is to have a tanda with an introductory song that feels a bit different to the remaining three. This first song would generally be something softer. This shape has to be used with care, because we don’t want the dancers to feel misled. Something like this can only be done once the DJ has the trust of the dancers. It’s also possible to work the other way —to start with a «big bang» and then calm down— but the DJ must be very careful that the energy in the tanda does not collapse. He would probably need to increase the energy again at the end, and now we are half way back to the “hammock” shape. Although the hammock shape is my favourite “energy shape” for a tanda, this does not mean it’s the best. Different DJs prefer different shapes, or may use different shapes, depending on the moment. If you are a DJ, it’s useful to observe which shape you prefer yourself, and also which shapes other DJs are using. Ask yourself, what does a different energy shape enable them to do? Each new tanda is a new beginning, and the dancers decide whether or not they will dance, and with whom, according to how it opens. The first song is a sign and a promise of what is to come. Accordingly, it is important that the first song accurately portrays the tanda as a whole. If it does not, the dancers start to lose trust in the DJ. Building trust between the dancers and the DJ is fundamental, not just for the DJ’s equanimity, but for the success of the evening. Some DJs work with a «tanda bank» of tandas that they have prepared in advance, whilst others construct them on-the-fly. Both approaches work, although ready-made tandas have one disadvantage: if you DJ regularly at the same milonga, the public start to know what the next song will be. Constructing your tandas spontaneously takes more skill, but you can remove some of the stress if you start thinking about the position in the tanda where a song will work. For instance, some songs feel so complete that everyone will feel like sitting down afterwards - these will work best at the end of a tanda (closing songs). Some songs have an introduction - these will work best at the beginning of a tanda (opening songs), although it’s also possible to remove the introduction. Some strong songs will work equally well as an opening or a closing song. Conversely, a good song that is not strong enough to open or close a tanda must occupy one of the inner positions (middle songs). Constructing tandas on-the-fly can be aided by pre-listening - listening to music on your headphones, before it’s played for the dancers. This can make one’s DJing more creative, but spend too much time pre-listening, and one’s attention is taken away from the floor. Personally, I don’t use pre-listening very much. I use it for making sure that a song I have heard in my head is indeed the one I think it is. It’s very seldom that I use it for developing completely new ideas. In my opinion, the DJ doesn’t have time for this during the milonga. In practice, many DJs work with a combination of the two approaches: both preparing tandas when they are trying something new, and constructing tandas on-the-fly when playing music with which they are familiar. As with other areas of life, once we have mastered the rules, we concentrate on them less and start to work more from feeling. DJing then starts to become more creative, interesting and enjoyable. For instance, in certain situations, perhaps it could be okay to mix instrumentals and vocal numbers. After all, that’s what our beloved orchestras did in the golden age. There is so much good music that there is no excuse for playing anything which isn’t really danceable. This isn’t a severe restriction on the DJ. The range of good music is much wider than what one hears at the average milonga. Over time, a “core repertoire” of tango music has evolved. More than a body of music, this is a body of knowledge, the community’s accumulated wisdom about which tangos are good to dance to. However, this is not the same thing as having a fixed canon of acceptable music. 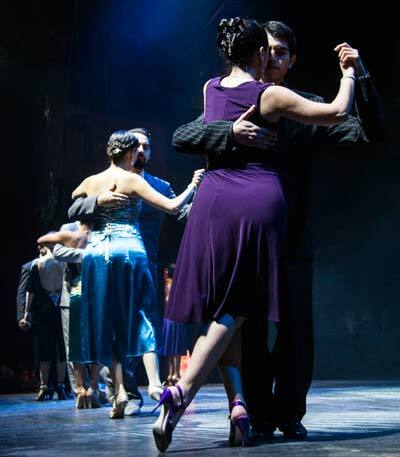 The heritage of tango music is vast. Our knowledge and understanding of it is incomplete, and as it broadens and deepens, the repertoire one hears at the milonga evolves. To give an obvious example: Canaro’s Poema was unknown until it was reprinted on CD in 2005, but today it’s one of that orchestra’s most loved tracks. And someone had to take the risk of playing that tango at a milonga for the first time. Whilst the DJ must beware of playing novelties just for the sake of it, there will probably continue to be new discoveries of this kind. Another aspect is the level of sophistication of the music and the experience of the dancers. Some music is easy to dance to; it can be played for any public. Other music demands more from the dancers. Perhaps the beat is less strong, and the melody more complex. For instance, play Troilo-Fiorentino from 1941, and everyone will dance, but play a tanda of Troilo-Marino, and those with less experience of the music may sit down. This does not mean that one should always play the most “advanced” music possible. Even with a room full of high-level dancers, it’s also good to play some “easier” tandas, such as Canaro-Maida or Fresedo-Ray. This gives a breathing space in the milonga and creates more opportunity to dance with different partners. The cortina is a largely overlooked element in the musical design of the evening. It does not only separate the tandas, but creates an atmosphere of its own. Moreover, the DJ has a relatively free choice. The only real criteria is that it must be clear immediately that the music is the cortina, and not another track in the tanda. My main preparation for a big milonga is choosing the cortinas. In environments where people do not know the codigos, think carefully before using dance music for the cortina (e.g. swing music) - some people may just keep dancing. DJs who prefer to play the music loud seem to prefer loud music, such as rock music, for their cortinas, emphasising the party atmosphere; those who play the music at a lower volume tend to choose something more subtle. Whatever one chooses to do, it’s important that the cortina does not overwhelm the music which it frames. And if tandas are meant to be coherent, than why shouldn’t cortinas be too? Whilst one can happily use e.g. a random selection of pop hits for the evening’s cortinas, this may not be as pleasing as, for example, playing a selection of hits from the same decade, or even from the same band. This gives a bit of structure to the cortinas, a theme. Some DJs use a cortina cycle, matching them to the tanda cycle (TTVTTM). Turning now to the length of the cortina, it should play until the floor is empty (assuming everyone is changing partners at the end of each tanda) and the length of time this takes can vary. At the beginning of a milonga, this might be as little as ten seconds, whereas on a crowded night, it could be over a minute. For this reason, many DJs prefer to fade out the cortina manually, so that they can control the length of time for which it plays. In Argentina, where people are less concerned about dancing all the time, it is common to play a long Cortina regardless of how quickly the floor empties. This is more a local custom then the decision of the DJ. If you don’t want the floor to empty —for instance, at a práctica— then you might choose not to play cortinas. In the third part of this article, we’ll look at the real art of tango DJing - how to choose what to play next.